But the evil Teeleh bided his time in a Black Forest. Then, when least expected, a 24-year-old named Thomas Hunter fell asleep in our world and woke up in that future Black Forest. A gateway was opened for Teeleh to ravage the land. Devastated by the ruin, Thomas Hunter and his Circle swore to fight the dark scourge until their dying breath. Now The Circle has lost all hope. Samuel, Thomas Hunter's cherished son, has turned his back on his father. He gathers the dark forces to wage a final war. Thomas is crushed and desperately seeks a way back to our reality to find the one elusive hope that could save them all. Enter an apocalyptic story like none you have read or heard. A story with links to our own history so shocking that you will forget you are in another world at all. Welcome to GREEN. Book Zero. If you read the trilogy you will love this book and how it all ties into them. And you understand how it all comes together. Beautifully written, extremely fast paced and at the end you just say Ahhh! Read it.. Read the others first then read this one. 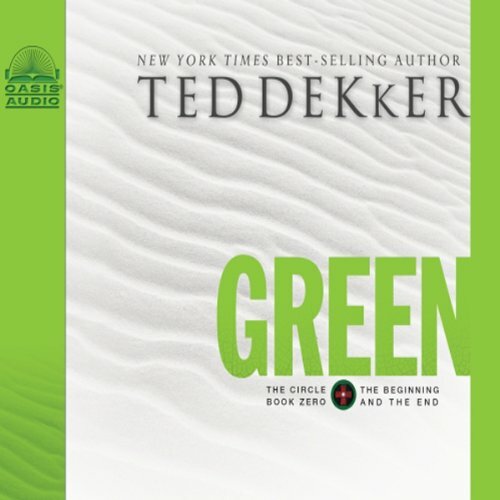 Another great book for Dekker in the series. I really hated to hear that this is the end of a great series. I just couldn't stop listening to it, when I got to the last CD I sat in my car for over an hr just to listen to how it would end. This is a must listen for all Dekker fans. This narrator was much better than the last. Plenty of different voices for the different characters. Well done. Loved it so much now I want to read the lost books series, so excited!!!! Best fiction I've ever listed to!!! The Circle Series was incredible!!!! 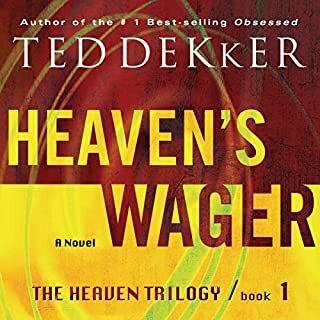 What an imagination Ted Dekker has!!! I am looking forward to enjoying more of his books! A weird way to complete the "Circle"
What aspect of Tim Gregory’s performance would you have changed? not as good as Lamont's performance in the other 3 books. as exciting as i was to have some questions answered, white was a much better ending. i would have rather had the questions leave open ended then some of the uninspired crap. good book yet it is hard to follow at first. the author not seen fit to write this, book zero for the Circle trilogy. As in the other books, we follow the same major characters but this time, spend much more time in the future. 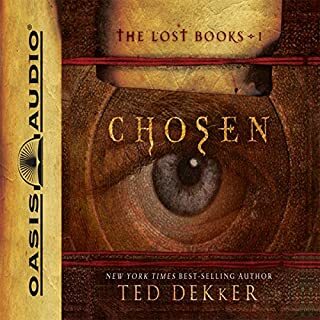 A great listen/read great story of loss, love, war and faith but, the end makes me think there will be another installment. Black, Red, & White were great. Green not so much. Really enjoyed Black, Red, and White. But, Green was really different...so dark and strange at times. A lot of excessive blood, gore, and sexual references that made Green feel really different from the original 3 books. Suddenly vampires and excessive references of consuming blood, and unnecessary seductive actions from characters that seemed so out of place when compared with the other books. Some parts of the story were creative and entertaining, but kept taking really dark turns that were disappointing. The reader of the 1st 3 books was fantastic. The reader of this one was different, and although he was OK, he wasn't nearly as engaging as the original reader. If this one were a movie, it would be rated R in the horror section rather than PG13 in the thriller section like the originals. Just my opinion. 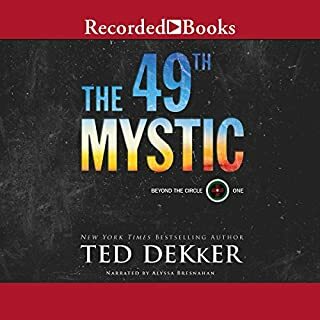 I barely made it through the book; if I had heard one more chant of "he tells the truth," I probably wouldn't have although earlier ones should have tipped the balance. Visually, the story is powerful, but the language and plot line are weak - melodramatic and stilted. Do yourself a favor and read the entire circle series. This is the last in the series I didn't think I'd enjoy it as much as I did but it as good as all the others. 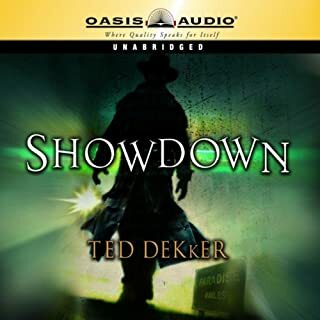 Fast paced, lots of action while still managing to be thought provoking. Very engaging story. 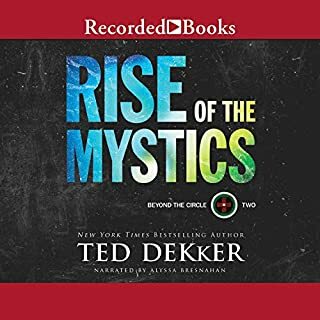 I have listened to the whole series now and enjoyed them all. 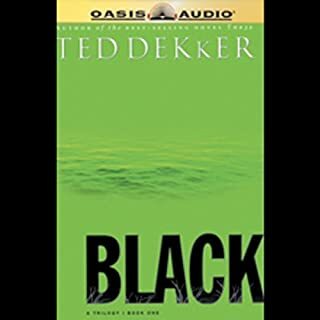 Even though this is the first book, start with Black and move through to this one last. Narrator was good but all voices were similar so hard to distinguish characters by voice alone. But the story had plenty of context & placement so it wasn't a problem. Great emotion in the narration though.